Texas Insider Report: AUSTIN, Texas — Texas has over 360 miles of coastline that line the Gulf of Mexico, also known as the Gulf Coast. The coastline and beaches of Texas are important to our great state. These areas are home to marine life, wildlife and their natural habitats. Texas beaches are also popular tourist destinations. Preserving these natural areas is essential to our state’s well being. Texas beaches are home to many creatures like birds, turtles, and fish. Our warm climate as well as the sand, wind, and water of the Texas coast make us unique. The beach climate draws much wildlife to this area. For example, the ecosystem of our state produces ideal turtle egg-laying and hatching sights. Hundreds of species of birds migrate to this climate area each year. Several crabs, snails, oysters, and more can be found on the beaches. One snail that can only be found on Texas beaches is the lightning whelk. The distinctive shell of this snail is the official shell of the State of Texas! The beaches of Texas are important for our ecosystem, communities, and economy. It is essential to care for the coastline by not leaving trash, and to recycle properly. We must protect against pollution and coastal erosion. Coastal beach erosion is the displacement or deterioration of sand. We rely on beaches, sand dunes and wetlands, for protection against major storms. These natural barriers mitigate the damages from major storms, like hurricanes. The Texas General Land Office, Texas Beach Watch, the Texas Coastal Erosion Data Network, and other local organizations work together to create preventative barriers, like jetties, to slow the rate of erosion. The efforts to keep Texas beaches beautiful have paid off. Texas is nationally ranked in top beach destinations! If you have questions regarding any of the information mentioned in this article, please do not hesitate to call my Capitol or District Office. (Capitol Office, 512-463-0672; District Office, 361-949-4603). 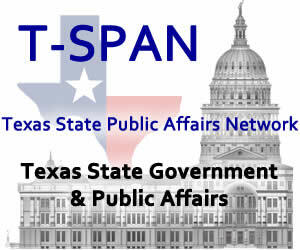 And please, always feel free to contact my office if you have any questions or issues regarding a Texas State Agency, or if you would like to contact my office regarding constituent services. As always, my offices are available at any time to assist with questions, concerns or comments. The post HUNTER: The Importance of the Texas Coast appeared first on Texas Insider.